A multinational is defined as any company that owns other enterprises located abroad. The structures to which they give rise are defined as multinational groups within which the parent business, also known as holding firm, and the companies owned, also known as branches, are distinguished. The groups are about 320,000 for a total of 1,116,000 branches. 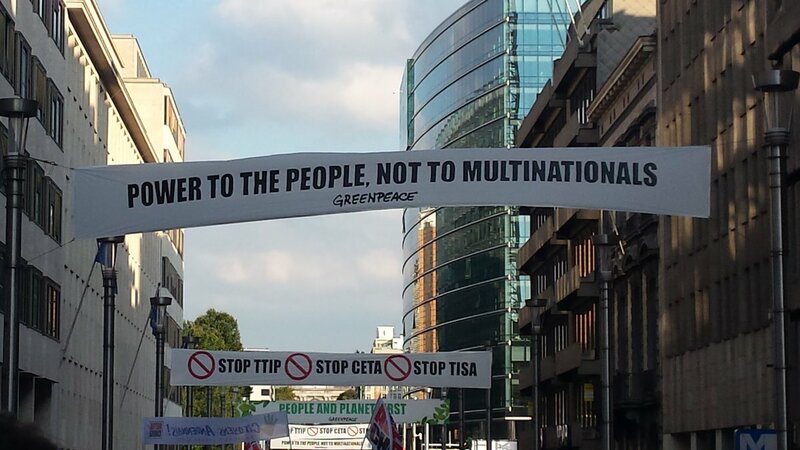 The set of multinationals control 80% of international trade. Although the latter are all united by the fact that they have foreign branches, their size varies greatly from one another. The first 200 alone contribute to 14% of the global turnover of the multinationals. Many of those have billed higher than the states’ gross domestic product and use their power to influence the choices of governments and parliaments. In his book “Confessions of an economic hit man”, John Perkins describes the methods used to bribe the leaders of the poorest countries of the world. Although we call ourselves democracies, reality is far from declarations. Democracy means people’s command, but more accurate surveys tell us that parliaments and governments are under strong pressure from the business world to take measures that are pleasing to them. Often with positive results for businesses. The pressure activity is called “lobby”, an English term that indicates the premises in front of the meeting rooms of parliamentarians and ministers, crossing spaces that in the past were used by defenders of particular interests to bring politicians closer together and persuade them to support their causes. Today lobbying is no longer improvised, but so organized as to be institutionalized. Both in the United States and in the European Union a register of lobbyists has been set up in which all those entities that intend to carry out lobbying activities, including expressions of civil society, must register. Vast quantities of common properties of the poorest countries, which peasants and shepherds used freely, are ceded by governments to foreign companies thirsty for land to be put to use for the most varied purposes. The assault on the properties of the South of the world began in the colonial era by multinationals of rubber, bananas, tea, and after a period that seemed to be a remission, the phenomenon was taken up in style. 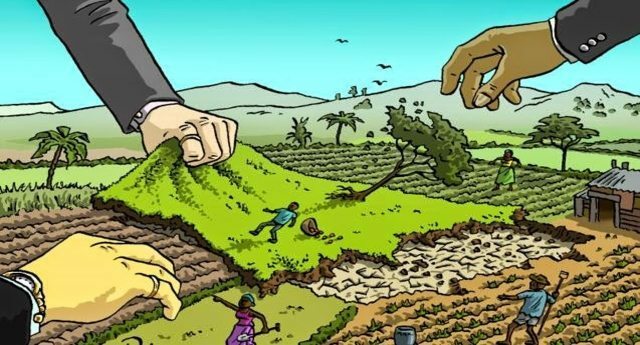 A phenomenon that is arousing concern today is “land grabbing”, which consists in the sale of common or state lands by governments to foreign multinationals. This is, unfortunately, constantly growing. Africa is the most assaulted continent, contributing to 50% of all properties granted by governments. Among the countries on the continent at the top of the list is Ethiopia, which is offering land to companies interested in producing flowers, vegetables, rice, corn, sugar, not for local consumption, but for export. Which contributes to hunger and poverty because thousands of people are forcibly expelled. The US association Human Rights Watch estimates that in the Ethiopian region of Gambella there would be at least 70 thousand people forcibly deported to meet the investment needs of foreign companies of agribusiness. In recent years the production of agro-fuels has risen sharply. Demand has increased and the foundations have been created for an extremely lucrative market. So while rich states struggle to meet their clean energy goals, valuable farmland across Africa is converted from food production to fuel production. But the fuel is not eaten. The production of agro-fuels has a direct link with the increase in the price of food and with the growing scarcity of land to produce it, as well as with the expropriation of land to farmers, the expulsion of agractors, shepherds and indigenous communities their territories and the criminalization of social movements that oppose this form of development. The chocolate industry invests more than 100 billion dollars annually and the multinationals of this ingredient divide the market. The price of cocoa is then established by the New York Stock Exchange through financial instruments that are treated not only by those who produce cocoa but also by speculative funds that buy and sell large quantities of raw material with the ultimate goal of obtaining financial gains. All of this affects about 30% on the price of cocoa. The large plantations of this aphrodisiac ingredient are found above all in the poor countries of West Africa such as the Ivory Coast and Ghana. According to Icco, the international organization of cocoa, this year the harvest will be the most abundant ever and while the big multinationals will be enriched, the two countries will have to settle for small profits. In cocoa plantations in Ivory Coast, because of this cultivation, thousands of hectares of forests have disappeared, killing entire ecosystems. In particular, the population of elephants living in those areas has been reduced to only 400 specimens. And it’s not over. The chocolate that arrives on our tables is often illegal because it is taken from cocoa beans that are in areas that should be protected but aren’t, due to a system of corruption and favoritism. If this doesn’t end, in 2030 in the Ivory Coast there will no longer be any trace of the forests. The trees are burned to encourage the growth of cocoa plants as they need a lot of sun to grow. The Government has announced that it wants to fight this illegal practice but isn’t doing anything to do it. Moreover, in 2004, French journalist Guy-André Kieffer disappeared into thin air, probably killed, because he was conducting an investigation into chocolate and corruption. There is also the issue of child labor. 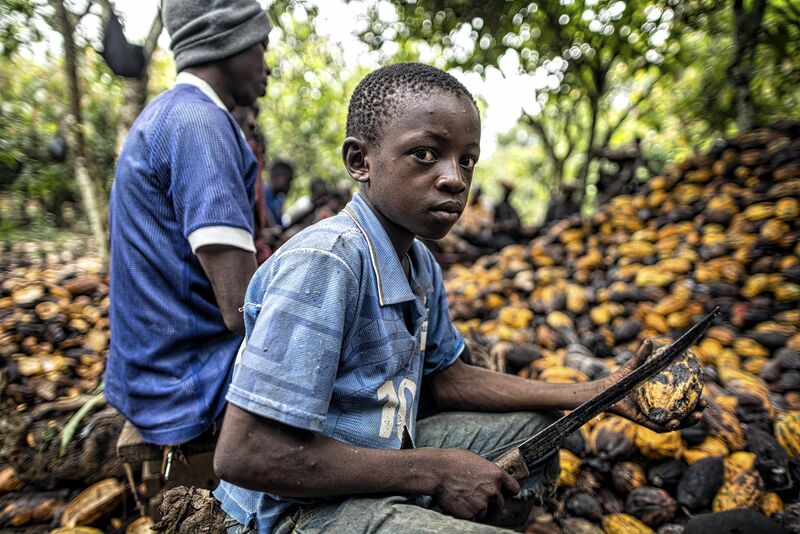 In the cultivation of cocoa in protected areas multinationals also use minors, who, instead of going to school, are forced to work in the fields. 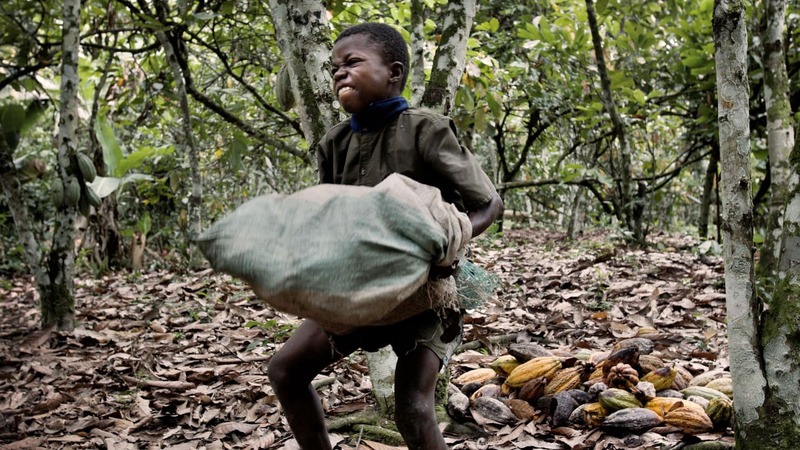 UTZ, Rainforest and Fairtrade (whose brands can be found on the packaging of almost all the big chocolate brands from Nestlè to Milka) are three large international groups that should guarantee consumers the ethical certification that chocolate isn’t produced through child exploitation or from deforestation of forests. But the certifications take absolutely no account of exploitation and so we find ourselves buying an “ethical” chocolate, on whose packaging we find the famous brand, but which isn’t so ethical.